Established in 1923, Struthers-Dunn is one of the oldest and most respected relay manufacturers in the world. Since then our products continue to be recognized for their rugged or "overbuilt" design, high quality, and exceptional reliability. 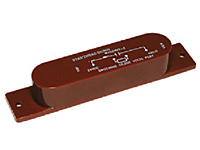 Struthers-Dunn relays are utilized in virtually every major industrial/commercial application in today's marketplace. We are committed to providing our customers with a high level of customer service, technical support, application consultation, and specialized product design to meet those unique application requirements. As one of the last remaining U.S. manufacturers of Power Relays and Conductor, we have a unique advantage in the ability to produce custom design relays for customers. ​ We are undertaking an aggressive and innovative approach to new product development. This approach will focus on more compact designs and higher rated specifications. We realize that every potential or existing customer always has a choice in selecting their relay supplier. We greatly value each of our customers and will continue our efforts to ensure we will always be their first choice for existing or new business.